This page links to local and regional information that we think you might find useful during your stay. Under a 10 minute drive, this course was designed by Francisco Moreno and opened in 1981. 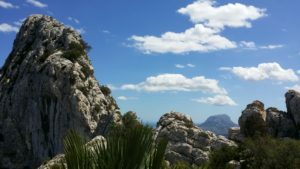 Situated 100 kilometres from Alicante on the way to Valencia, and sheltered from the wind by Cape San Antonio. 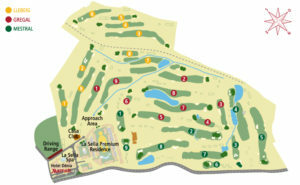 Within 15 minutes you have La Sella Golf Course which is surrounded by the Natural Park of Montgó. A Mediterranean forest we respect, that is why they have the quality certificate ISO 9001 and ISO 14001 for environmental management. The irrigation systems use recycled water and organic products are employed in the maintenance of the golf course. No website, no phone number…just across the road from the apartment. A small restaurant with tapas too. Sometimes classical guitar playing to accompany the food, very good ambiance emanates from here. Even if you decide not to make use of our fully equipped kitchen…..you will not go hungry! Walking in the Marina Alta area is a very rewarding experience, there are routes to suit all abilities though care must always be taken. A very good resource for route information in an easy to use format is the website of Bob and Jean Hall. I am also more than happy to point you in the direction of the online routes. You too can enjoy wonderful vistas as in our Region Gallery. Never walk alone, tell people where you are heading, wear good boots, take a mobile phone (fully charged) water and a snack. Be prepared! For your transfer you can hire a car, always useful but not vital if you are coming to Las Dunas Javea for a beach holiday our apartment is so well located, cars and taxis are not needed whilst here! 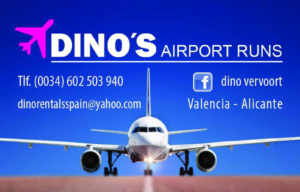 A good option for that Alicante airport transfer is a pre booked coach or taxi service, one of the popular ones is Beniconnect especially for singletons. We can recommend Dino’s for families and door to door service. He has transported quite a few of our guests and they have all been very pleased with his service. I can put you in touch. 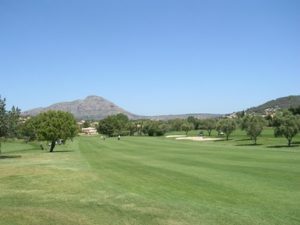 There is a very popular Green Bowls club in Javea, under a 10 minute drive, that welcomes non members. If you are already a bowler there are club days on Sunday, Tuesday and Friday mornings, arrival by 9.30 wearing whites. Please make yourself known to the officer of the day, you can borrow shoes and bowls and the cost is 11 euros per day. As a guest you can play four times in any consecutive 3 months. If you want to just try your hand you can play without wearing whites, on one of the two practice rinks subject to availability and out of the club day times. Please refer to their website.